Wise Mind Centre offers two 26-week standard Dialectical Behavior Therapy skills groups for adults ages 18 and up. These groups require participants to attend a weekly 2-hour group session. The sessions are delivered in a psycho-educational format, which means it is more like a class than a therapy group where people come to vent or process their feelings and thoughts about other group members. The groups are ongoing. Please see below to find out more information about what is covered in the groups. Our skills group brochures are also available for you to download at the bottom of this page. We are now accepting referrals for adolescents aged 14-17 (exceptions may be considered) for our multi-family adolescent DBT group. Group attendance of one or both parents/primary caregivers is a requirement. Who may benefit from the 26-week standard DBT Skills training? 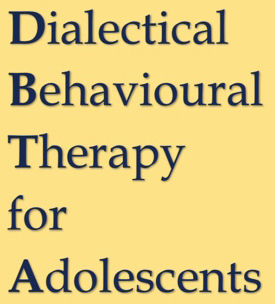 For more information about the effectiveness of DBT and for whom DBT may work, please visit https://behavioraltech.org/research/evidence and https://behavioraltech.org/research/how-dbt-helps. 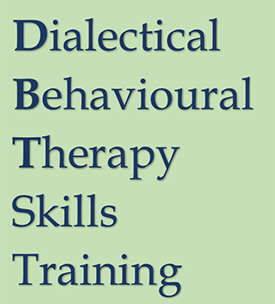 Please contact us to find out more information about our DBT skills groups and how to get in.
" Yesterday I was clever, so I wanted to change the world. Today I am wise, so I am changing myself. "